"Rucksack for ski touring and light alpinism. Its compact shape and its vest-type wear ability make it comfortable and very stable. It is adjustable on the shoulder straps and on the belt. The opening on the back makes it really easy to fill also in the snow, while the concealable waist belt allows to rotate the pack and access it without the need to take it off. 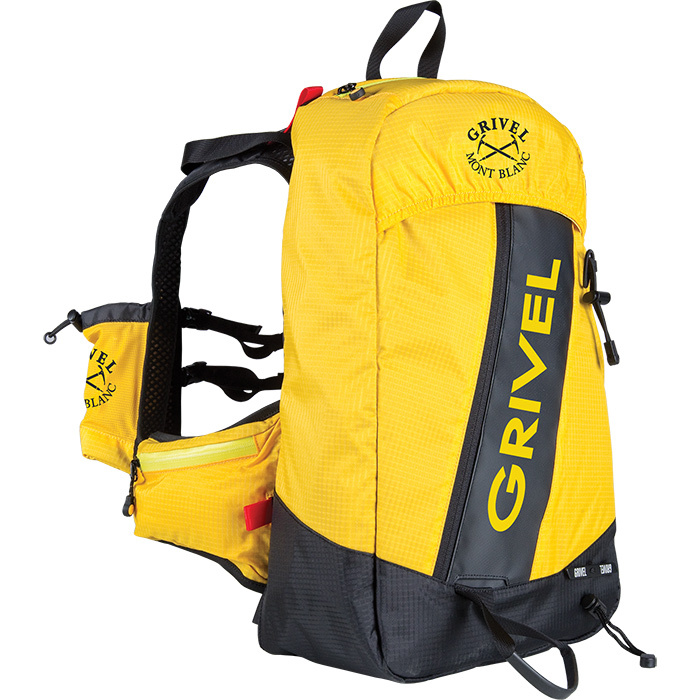 Special ice axe holder on the shoulder strap, for easy access. The external pocket can be used for the shovel, the shaft and the probe. The top pocket can be used for small objects such as glasses, goggles, sun lotion, etc. The skis can be fixed outside the pack diagonally, and lean on a reinforced fabric. Volume: 25 liters / 1525 cu in. Weight: 665 grams / 23.5 oz."